Over the next few weeks, EFF and our allies will enter our final push to pass legislation out of the California legislature that would defend and promote civil liberties. With a Democratic super-majority eager to push back against the federal government, our chances have seldom been better to move the ball forward on the state level. We have also seen bipartisan support emerge around issues such as transparency and youth access to technology. But we need all Californians who value digital rights to flood their state lawmakers with communications demanding they send these key reforms to the governor’s desk. We’ve set up five simple action pages, covering issues such as police surveillance, broadband privacy, and youth computer rights. Please lend your voice to ensure California is at the forefront of the battle for our rights. Earlier this year, Congress voted to repeal hard-earned privacy protections passed by the Federal Communications Commission that kept broadband providers (e.g. Time-Warner, Cox Communications, Comcast) from selling your data without your permission. A.B. 375, legislation by Assemblymember Ed Chau, would restore these rights to ensure that our browsing data belongs to us. Police and sheriff's departments across California have been quietly acquiring advanced surveillance technology with very little transparency or public input. S.B. 21, introduced by Sen. Jerry Hill, would require law enforcement agencies to publish “Surveillance Usage Policies” and disclose biennially how often each technology was used or abused, how effective it was, and how much it cost. Municipal police departments would further be required to seek approval from city councils prior to acquiring the technology. Sponsored by the Youth Law Center and Assemblymember Mike Gipson, A.B. 811 would ensure that youth in detention and foster care are provided with the digital tools they need to succeed. The bill would state that youth in state care have a right to access computers and the Internet for educational purposes and to stay in touch with their families. So far, the bill has received bipartisan support. Often referred to as the “Sanctuary State” bill, S.B. 54 contains crucial language ensuring that data collected by law enforcement agencies in California is not used for immigration enforcement. Please join us if you believe that police should protect the rights of all people, and not collaborate with federal agencies that may pursue mass deportations, as promoted by the administration. Facing the threat of a “Muslim registry,” Sen. Ricardo Lara introduced legislation to ensure that data collected by the state is not provided to the federal government for the purposes of building a list of people based on their religious affiliation, national origin, or ethnicity. The bill would also prevent state authorities from expending resources on creating such lists, registries, or databases. California law enforcement agencies would also be strictly limited regarding when they may collect information about a person’s religion. Would you like to get more involved? The Electronic Frontier Alliance is a network of local organizations across the country that bring together local allies to learn about and advocate for digital rights in their communities. 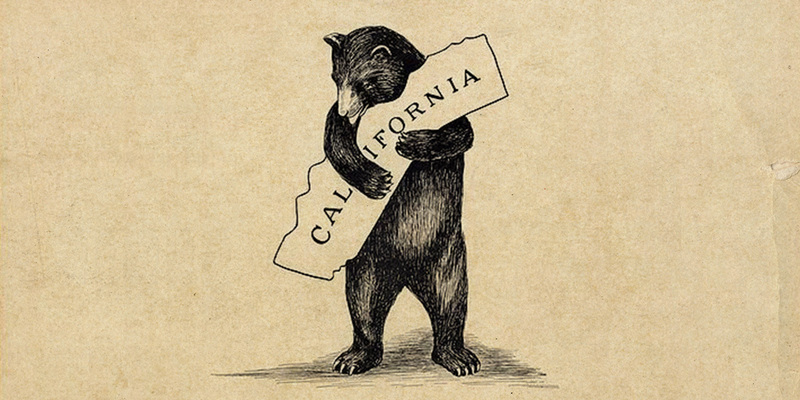 Several allied groups in California are taking action across the state to support these bills and your participation could expand a local event or campaign of your choice. You can also view all of the California bills EFF is supporting through LegiScan.